With the addition of the South Expansion, also completed by Mackenzie, the casino’s existing buffet was relocated to the new space. This opened up a prime location in the complex, directly across from the main visitor entrance. 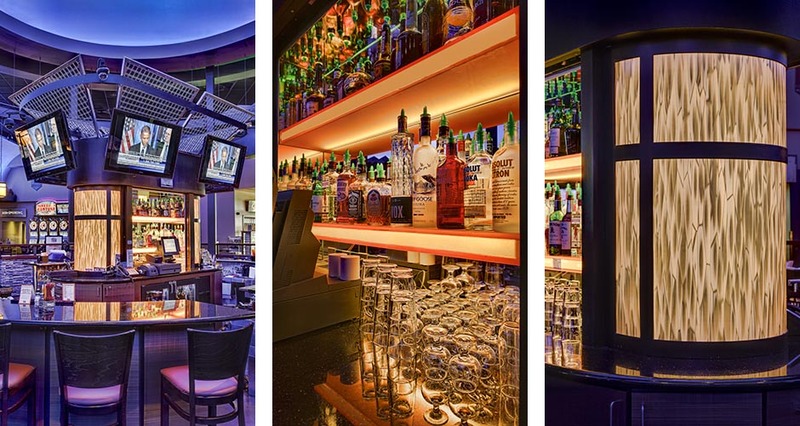 Mackenzie provided interior design services for the remodel of this area into the new Mountain View Sports Bar. A large dome provides a focal point for the bar, while a custom fabricated mountain panorama surrounds the main dining space. 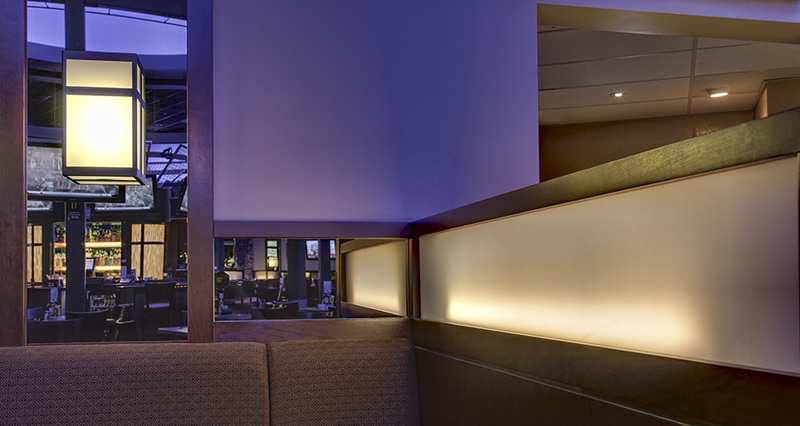 Both elements are lit by specialty mood lighting which changes throughout the day. 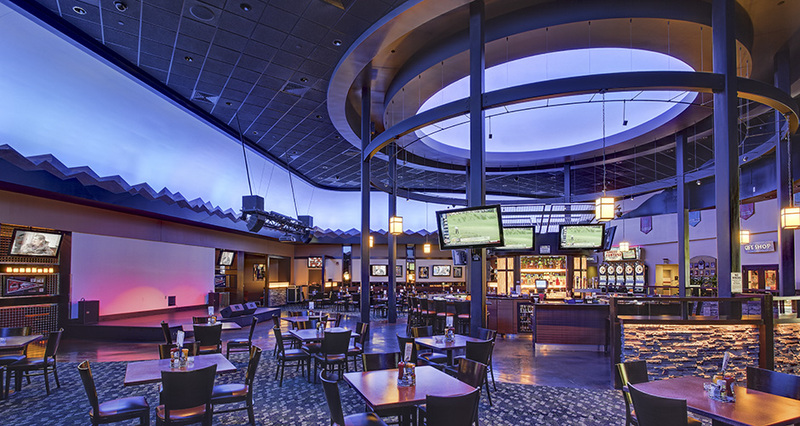 The stage and dance floor area accommodates a variety of uses, from karaoke and musical performances to a theater-sized screen to watch athletic games. 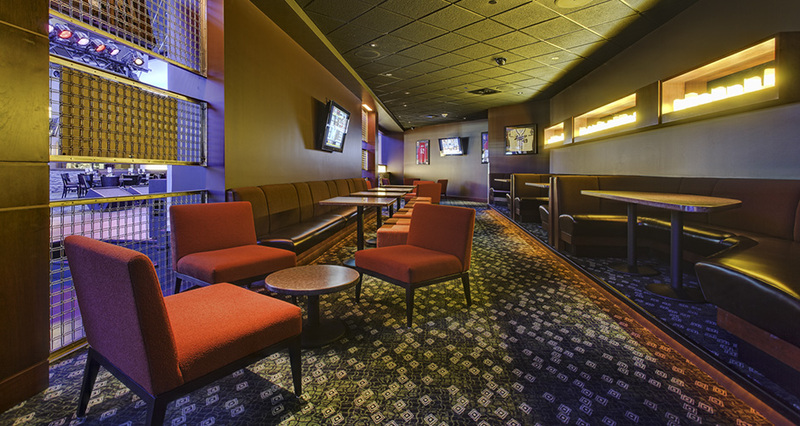 A more intimate lounge space behind the stage features cozy, low slung seating groups and sleek banquettes. A rich color palette and natural materials such as stone and wood combine with stained concrete and metal panels to give the space a relaxing, sophisticated atmosphere.